The modern generation technology demands more value day by day. New tech devices are coming every now and then. So, but as users seek more value in their devices people are seen to tending towards Mini PC’s more because of their compact design, balanced cost & processing power. The Alfawise A1Mini PC barebone is such a device which comes with an operating system powered by a powerful processor. It has caught the eyes of the consumers with its powerful CPU, GPU units & its ability to on both graphics and games at the same time. The Alfawise A1 Mini PC Barebone comes with a lot of features installed with it that has really impressed the general consumers. Now let’s get to know this new device that has been brought by Alfawise. The Alfawise A1 Mini PC Barebone has an excellent feature where the user can choose whatever operating system he wants to use. If someone wants to work on Linux, he can. If someone wishes to work on Windows 10, its available. Even Chrome OS and Ubuntu16.04. can be used if someone wishes to. 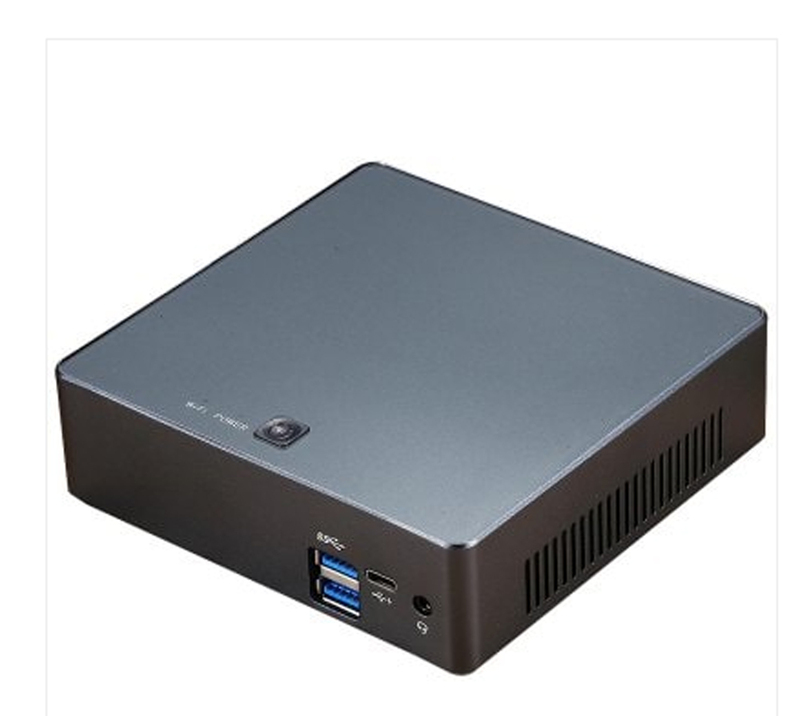 This operating system variety has certainly put the Alfawise A1 Mini PC barebone on top. The Alfawise A1 Mini PC Barebone comes with a powerful Intel 8th Gen Core i7-8550U. It has an embedded quad core processor. It has four cores that has a nominal clock frequency of 1.80 GHz which can handle a frequency maximum of 4 GHz. It has a cache size of 8 MB, Smart-Cache. So it has a very high leveled CPU unit. With NVME SSD installed the Alfawise A1 Mini PC barebone has a very high performance. The NVME SSD is the new generations memory storage which is improves the performance by a long shot and never lets you experience slow computing ever again. It also has a DDR4 8GB RAM & the NVME SSD is 256 GB. This provides reliability in the GPU section. The Alfawise A1 Mini PC barebone has an elegant display. It supports 4k ultra high definition video quality. This provides the users a very good viewing experience. It also supports XBMC, a free and open-source media player software application. 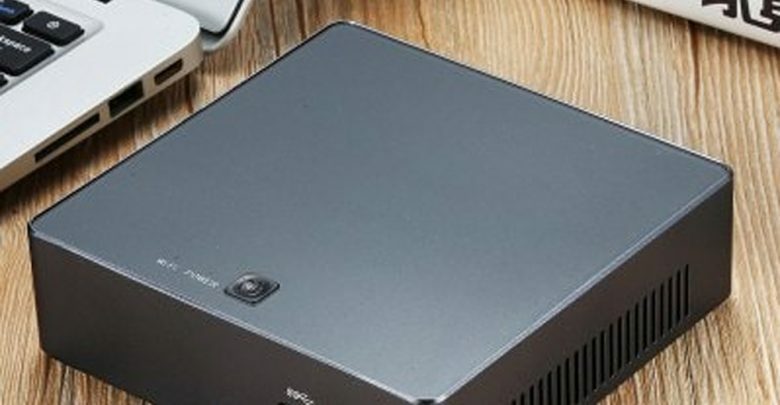 The Alfawise A1 Mini PC Barebone has a two-sided vent and a huge venting system underneath it to scatter the heat away from the PC. Heat can really lower the performance of the CPU so it is very much important to dissipate the heat from the device. These vents help do perform this task. So, it is important to not to block the underneath of the device. The Alfawise A1 Mini PC Barebone has a very neat design at only 0.6L (39 x 124 x 129mm). It comes with a VESA mounting bracket which has a dimension of 75 x 75mm + 100 x 100mm. This allows the device to be set properly. The Alfawise A1 Mini PC Barebone comes with an IEEE 802.11ac standard WLAN network on the 5 GHz band. It also has a Gigabit LAN which has a data rate of 1 billion bits per second. 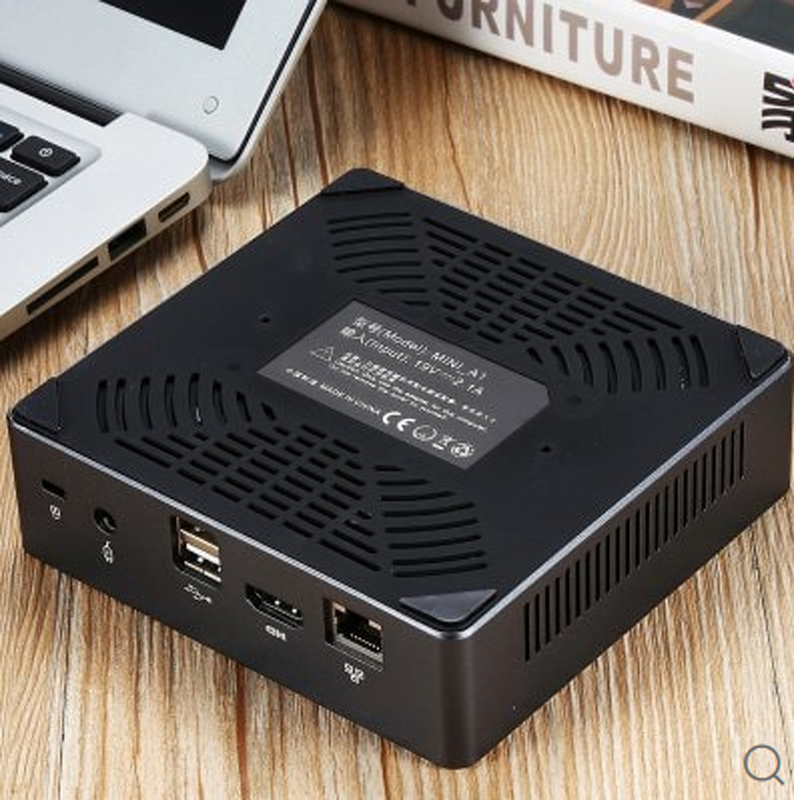 This allows the users to have a great internet experience as the Alfawise A1 Mini PC Barebone ensures fast connectivity and network speed. The Alfawise A1 Mini PC Barebone has a lot of applications compared to other Mini PCs in the market. Let’s get to know the applications. 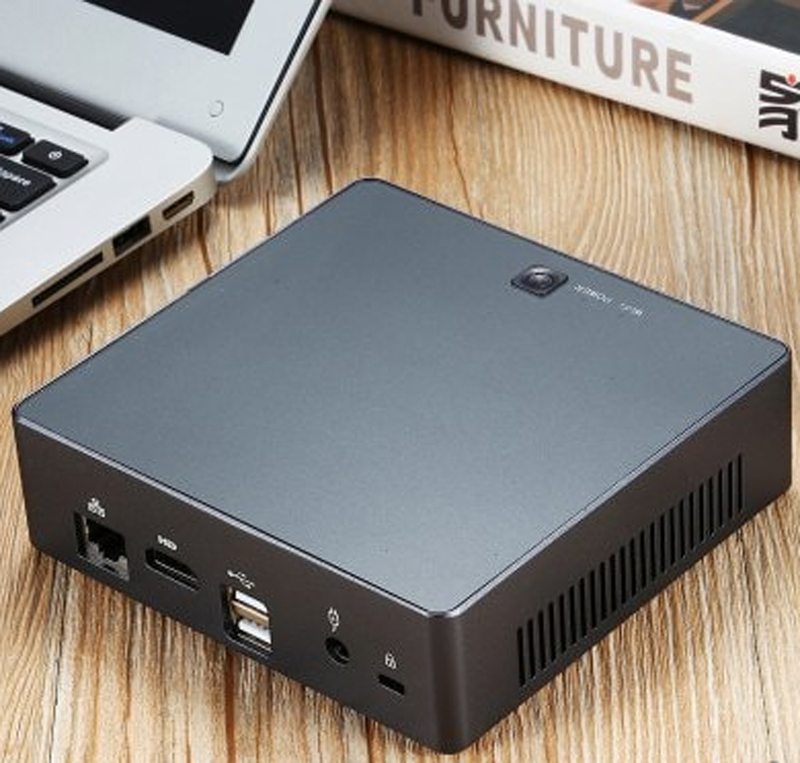 The Alfawise A1 Mini PC Barebone has a lot office application variety. Users can easily all the office applications, yahoo, skype, outlook, and all the other office work related software’s and applications. Users can run them without facing any problems what so ever. Design sector is one of the most demanding sectors of the world right now and it also requires a powerful PC unit to meet the requirements of the design based applications. The Alfawise A1 Mini PC Barebone almost fulfills that requirement with its powerful PC unit. Designers can easily run applications such as AutoCAD, Illustrator, Photoshop, Dreamweaver, Solidworks, Flash, InDesign and so many other applications. These applications run very smoothly on how much storage is left in the device. The Alfawise A1 Mini PC Barebone has a powerful Intel 8th Gen Core i7-8550U with a quad core processor. This ensures the gamers a very satisfying gaming experience. Most of the online games such as League of Legends, World of Warcraft and PC games such as Counter Strike, Farcry, and Warcraft are compatible as well as other 3D games. Most of the games runs very smoothly on the Alfawise A1 Mini PC Barebone. The Alfawise A1 Mini PC Barebone supports 4K ultra high definition video. So it provides its users with an ultimate entertainment system with XBMC supporting too. The Alfawise A1 Mini PC Barebone has a very powerful CPU unit and a DDR4 8 GB RAM. This is undoubtedly very much compatible for modern day gaming and designing. But the more applications you work it has a tendency to get slow as it puts a lot of pressure on its processor and RAM. So, the more applications and software’s you work with on the RAM the more work it will have to do. So, it will tend to lack in performance eventually. The Alfawise A1 Mini PC Barebone doesn’t have any CD’s or DVD’s player. It’s not just that it can’t be played on this particular device. Most Mini PC’s doesn’t support CD or a DVD player. So, users are unable to stream music and video through CDs and DVDs. As the Alfawise A1 Mini PC Barebone has a strong performance it will tend to dissipate heat a lot. Although it has a lot of vents on the sides and beneath, it is not safe to only rely on the vents. An outside cooling system may come in very handy in these risky situations. After all they are electrical devices which can be damaged at any time. The Alfawise A1 Mini PC Barebone is a very solid device which is provides great performance to its users it has become a top level choice in the market. There are very few Mini PC’s in the market that can provide such a solid performance in design works and as well as for gaming fanatics. From the Intel 8th Gen Core i7-8550U quad core processor to its DDR4 8 GB RAM it provides a very quality performance to the consumers. The connectivity is also well mentioned. 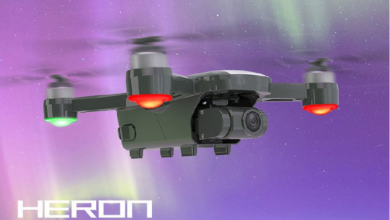 Though it has some complications in the heating area, you will not find a device something like this with so many features coming in such a small dimension. So, the consumers can easily choose the Alfawise A1 Mini PC Barebone for its solid performance and state of the art facilities.